The stuff will never pass my lips, but I recognize that some of you may enjoy it--like rap, or ballet, or the 19th Amendment. 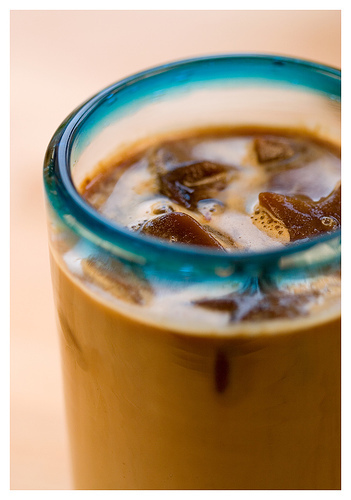 If that's the case, then you can go to Is It Iced Coffee Weather. Simply type in your zip code and the magic of the internets will tell you definitively whether or not you should be drinking your java cold. Darling Iced Coffee is just plain vile! I never could understand how otherwise civilized people could partake of such swill. I understand Brittany Spears mainlines the stuff and look what it's turned her into.